The Obama Foundation can prove it cares about the South Side through a community benefits agreement. In four years’ time, the Obama Presidential Center will see its grand opening in Jackson Park. Over the next decade, the Presidential Center could generate $2.1 billion in revenue for the area in addition to creating an estimated 1,000 new jobs. The center is intended to rejuvenate the area and provide a community center for residents who have historically been neglected. However, given the city’s and the University’s own failed attempts at renewing the area in the past, can we really trust this project will not fail in the same way? Residents of Woodlawn and Washington Park should be provided a community benefits agreement (CBA) with the center’s developers; such a binding contract would effectively guarantee that these ambitious construction plans would improve residents’ well-being. Barack Obama has a special relationship with the area, working first as a community organizer and then as one of the South Side’s representatives in Springfield. The South Side has responded with overwhelming support for their favorite son: he received 95 percent or more of the vote from Woodlawn precincts in the 2008 presidential election. Obama’s personal work in the South Side throughout the decades likely means that the center has good intentions and may stand to help address many of the inequalities in schools, housing, and employment. The question, then, is not whether the center should be built, but how. 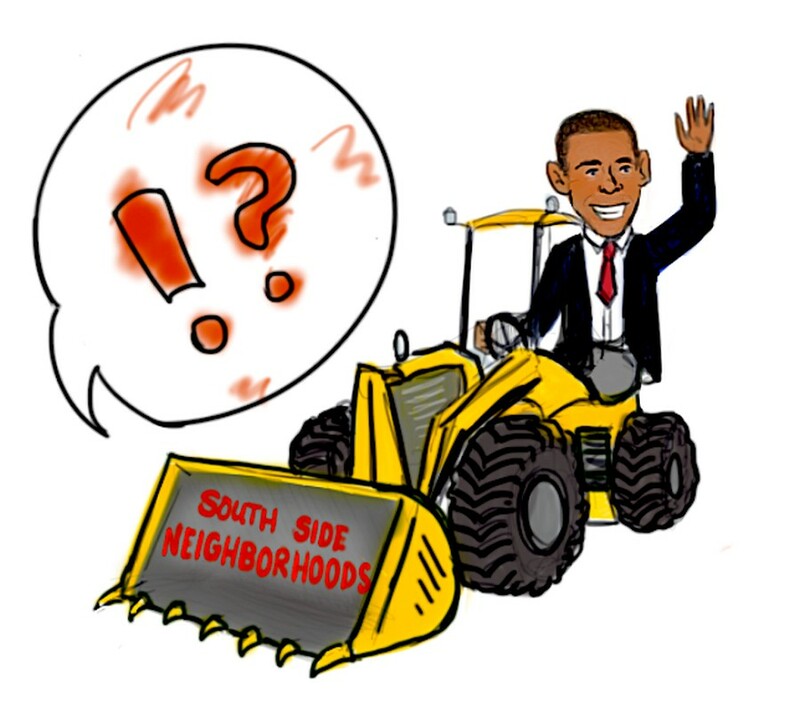 Although the Obama Foundation says the center will improve the area, these often-toothless refrains about “community engagement” might ring hollow for those residents familiar with the effects of gentrification. A CBA would give the community the leverage they deserve, as they can seek legal recourse if developers fail to hold up their end of the bargain. Big, ambitious projects on the South Side have failed to deliver for their neighbors before, and could do so again. Signing a CBA, then, would earn the community’s trust and further cement Obama’s plan to foster civic engagement and community-based action through the center. Instead of allowing the question of the CBA to sit unanswered, the Obama Foundation should seize it as an opportunity to be a model of how powerful institutions can address the concerns of their community.